"Salmon works best in this citrus-flavored dish." Preheat oven to 350 degrees F (175 degrees C). Grease a baking dish lightly with cooking spray. Place salmon fillets in the baking dish. Mix lemon juice, orange juice, lime juice, butter, parsley, paprika, salt, and pepper together until well blended. Drizzle over salmon in the baking dish. 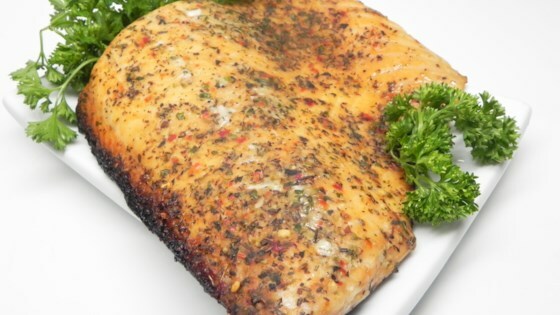 Bake salmon in the preheated oven until easily flaked with a fork, 10 to 15 minutes. An instant-read thermometer inserted into the center should read 145 degrees F (63 degrees C). Just meh for us. Needs garlic....maybe this mixture would be better as a marinade rather than a cooking sauce. Changed the parsley for basil, since I don't like parsley. Served with some rice. Delicious. Excellent! No changes made. Will definitely make again!